What is the lack of REASON? There are various daws, and every DAW has its own characteristics. However, some DAWs have a relatively large number of users. In Korea I have very few users of Reason. What parts of REASON are lacking? I would like to hear from people who use REASON with other DAWs. Being able to arrange/remix a song 'live', is a huge challenge. Ableton does this out of the box. There are quite a few threads addressing this. For me, it's what Reason has that other DAWs don't. Ableton is cool and I used it for a few years, but I always come back to Reason. What other DAW has CV, as a built in system, to connect almost all devices to each other? I'm with this. Not to be overlooked ... i literally fired up Reason, set up my keyboard in Preference, and I was off and running. So easy and so very gratifying and stable for me. That's what Reason has too. PH spend too much time on synths and not enough time on DAW imho. Reason is my favourite but it could be significantly better. Exactly. There are less Reason users because you have to... wait for it... pay for Reason. Whereas anybody can download certain other DAWs in just an hour or so. So it's not that other DAWs are better... they're just more popular due to how easily people can steal it. Well it can't describe unreasonable actions. An interpretation of which can only lie outside the bounds of reason. Reason is. Great ecosystem for quickly making songs. But it lacks the advancements of recent years. When it comes to their synths, they make some very inspirational synths. But they tend to release something and never go back and improve it. They sometimes add a feature here and there, but for example they finally make a Reason version of modern wavetable synthesis. They released it with only 16 wavetables and the ability to use env. 3-4 as a wave sequence/wave morning wave table. They later add a few more modifiers and the ability of user tables. But they only let you use one user table? Weird but it’s still fun. Same with Thor. They make a semi modular workhorse. With 5 types of oscillators. Yet as time goes on they have left Thor as is. When they could revitalize Thor with a new oscillator type or filter type every now and again. A semi modular synth could be a developers playground to see what works with fans. Yet they seem to go one and done. In japan & Korea you'll probably find only a handful of Reason users. That's cuz Reason was just an addon for years. i totally get why audio editing functionality in Reason is relatively immature compared to most DAWs, but I've always been a bit mystified how it got this far with only a bare bones midi editor when that's literally all it did for the first fifteen years or so of it's existence. you'd think the DAW that was ONLY a midi sequencer for most of it's lifespan would have a relatively robust midi editor, but it doesn't hold a candle to Cubase much less Logic. why not just copy some of the midi editing feature set of those programs? please God never let the props try to add a "session view" to Reason - that would go about as well as trying to add the rack and CV to Ableton. Reason doesn't need to be more like Ableton. One is a Jig Saw, one is a Circular Saw, they both cut things but they are for different jobs. 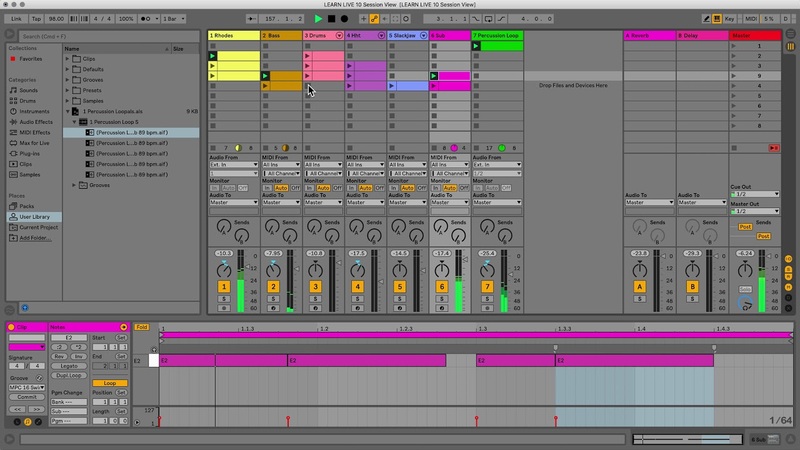 An Ableton style session view would actually make Reason worse, just like a Reason Rack would make Ableton worse. What *IS* lacking in Reason, are things that are fully within its intended scope, but simply have not been implemented despite years and years of requests. When VST arrived you remember the headline? "Hell Freezes Over" - that gives you an idea how far behind Reason is seen as being. Plenty of things in editing/workflow/GUI/features of rack devices are now clearly behind the times and showing no signs of ever being refined. Let's take an example of something that made Reason great; CV. After 15 years of being more or less the only "virtual modular" machine, now there are lots of VST modular machines. For Reason to be cutting-edge again *at the thing it is supposed to be best at* it would need audio rate CV as standard. While doing it, why not update the old devices to have smaller steps for things like filters and pitch, instead of the steppy modulation from 18 (!) years ago. Now, maybe CV is no longer the priority of Reason, and that could be fine, but if so, what is the new focus? How will it be cutting edge? Or is it just gonna play catch-up with FL studio? Obsession with backwards compatibility isn't such a good thing. Soon it will be 2020, those .rns files from nearly 2 decades ago can be left in the past. ever thought if they updated all our requests it would b less reliable? It's not 2000 any more: every piece of pro-grade software I have is rock-solid reliable, not just Reason. Yeah they'll add a feature that's very advanced, such as the Players or Pitch Correction whilst leaving other basic things out such as muting midi notes or autosave and you're right, many devices have been left as they are when a little improvement here and there could revitalise the device. Thor is one in my opinion. What I also don't get is why they have to (so they said after the 10 release when they said they're listening) wait for a feature to be requested before they add it, or it seems that way. Why don't they just want to make it the best daw out there in terms of features and make it as capable as the likes of Logic, Ableton, Cubase, Reaper and FL Studio? Reason lacks fast workflow! We need speed! We need a lot more keyboard short cuts, especially with midi editing in the pianoroll. It's a joke compared with other daws. That really needs to be updated. I'm also surprised that nobody mentioned the f8 window. It still hasn't dissappeared in favor of keyboard shortcuts. And we need a step sequencer like fl studio. That's really a bonus. I think part of the frustration that users feel is that the next level of excellence is visible..but just out of reach. Reason introduced some groundbreaking concepts and great devices but technology moves on and the devices just get forgotten, the next level of refinement doesn't arrive. THOR hasn't changed since 2007. 12 years of watching other super-synths come along. Thor could stay exactly the same but with higher quality/resolution, more LFO shapes, extra filter types, or go nuts and make some all-new modules for the OSC or output FX sections. Props have access to DSP assets for all these things right now but have left their signature "supersynth" to fade away slowly while everyone else comes out with more powerful stuff.Compare this to the constant stream of updates to something like VPS Avenger. Of course I am not suggesting Props need to come anywhere close to that pace, but one overhaul in 10 years would have been nice. RV7000mk2 was very well-received, and is a pretty damn good reverb unit. Dr.Octorex smoothly replaced Dr.Rex. Maybe someone else knows the history better but for upgrades, I think maybe only those 2 so far? And the sample loading for Europa, which was great, exactly the kind of thing it needed. I'd be overjoyed to see similar small upgrades to things like Scream4, Subtractor (even just a hi-quality mode) etc. But now we are getting back to "wish list" territory, and that's really a waste of time. EDIT; I haven't touched on the common workflow issues/ scalable GUI because that is painfully obvious by now. Props and everyone else are absolutely aware of those issues and will either choose to fix them or ignore them as they please. In perspective the Roland Jupiter 8 hasn't changed since 1980 and it's more sought after than ever now. So perhaps the real problem is that software users want something "new" all the time. Has music become better? I still love "Love Action". Can Thor do those sounds? Yes. In other words it is perfect. You have access to a monster of a synth, use it. While reading that ppl want uber synths in Reason as stock devices and compare them with Serum, Avanger, Omnisphere... Don't forget, that each of those synths costs like the whole Reason package. Some companies want 200 bucks for just a Reverb... I think the package you get with Reason is very good in price/value. But i agree that having a small improvement here and there over the years would be nice, are not too expensive for the company and probably would more ppl get into Rrason. Looking at other companies you need to pay for more stuff, eg. like Ableton Max. On the other hand the price range of devices is very weird in general, especially in VST world. You get very good devices for free like dynamic EQ and you can easily pay 200 or 1000 for an EQ. Same for synths. And the quality range is from excellent to crap all over the price range. As far as instruments, I think some still have the mindset of before we had access to both RE and VST. Thor is actually better than the stock synths in most DAWs (barring Logic having Alchemy). Agreed that a update to it could be nice but I'm not sure if I would say Reason's lacking because of it. The common thing in most do in any other DAWis to buy specific synths you want. I think the main thing is the sequencer can be modernized. I don't think it's as horrible as some make it seem, but editing in Reason (particularly audio) is a bit slow. Audio editing is the main Reason I do all audio tasks in Studio One. I keep hoping for a time when Reason and its RE and VSTs are all I will need for audio work. Logic, Ableton, ProTools etc have their style, but I prefer overall keeping it all in one workstation. Yes - and speaking of Logic I was quite unimpressed by the fact that Pro X never came as an upgrade option and the version before it stopped working with High Sierra. These steps without any particular info from Apple as far I could see and it made me downgrade to Sierra just to be able to use it. Since I stubbornly seldom update. Meanwhile, Reason 10 supports OS X as far back as 10.7 which is extremely nice and most generous - so when I upgrade it it will even run on my second machine, a very old but still nice Mac Pro from 2007! That is a really good point, but you could also look at it as why other DAWs have better DAW facilities at the expense of top-level synths. If Reason is selling itself as an amazing synths package with less DAW features, it does need to compete with Avenger. Or, if it is going to be a DAW then it needs to modernize the DAW features. Or, if it is a specialized CV rack, it needs to make that significantly more attractive than the up-and-coming VST modulars. And all of them need a graphic resolution update. Right now it is not cutting-edge at anything.